JumpStart Pakistan’s “Shepherd’s Pie” is an annual startup idea investment season following a pattern similar to Dragon’s Den and Shark Tank. Here, startup ideas are provided an easy-to-access platform to meet mentors and Shepherds (CEOs and other Angel Investors) in order to refine them and their idea for further success. 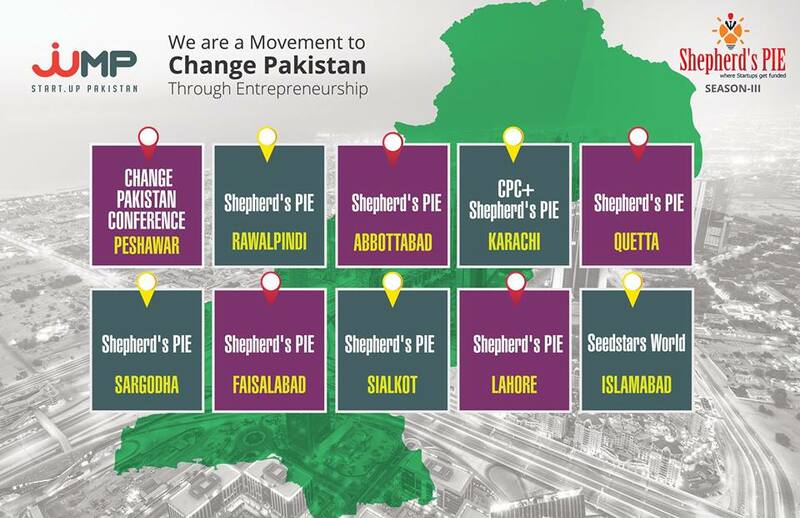 Shepherd’s Pie is conducted in cities all around Pakistan in hunt of the most innovative startup idea for the year. That idea is then given the opportunity to fly to Switzerland to represent Pakistan in seedstarsummit* and have a run at winning up to $1 Million in investment. 2017 is the fourth year and the third season for Shepherd’s Pie with the first year being the foundation season. In its Season I, it was conducted in 3 cities of Pakistan. In season II, the number of cities was increased to 5 and now in its Season III, the number of cities that will Insha Allah be covered, has been increased to 10. The cities to be covered in Season III 2017 include Peshawar, Rawalpindi, Abbottabad, Karachi, Quetta, Sargodha, Quetta, Faisalabad, Sialkot, Lahore and Islamabad. If you have an entrepreneurial mind and belong to any of these cities or have reach to any of them, you would not want to miss this great opportunity. JumpStart Pakistan would be honored to make you a part of their legacy and aid you along the path of making your entrepreneurial dreams, a reality. Shepherd’s Pie Season III is finally open and the opportunity is up for grabs.